Cobra 3D Laser Profile Scanner - CMM Inc. The Cobra™ 3D Laser Profile Scanner is a non-contact measuring instrument, capable of automatically acquiring a series of linear profiles in order to map an area for 3D analysis. 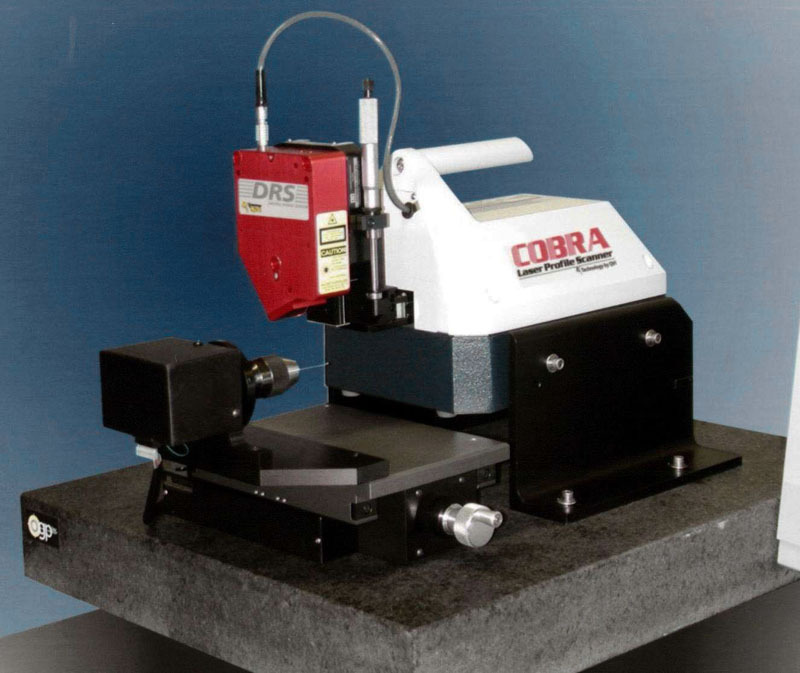 Its technological design makes scanning easy; Cobra 3D uses DRS™ (Digital Range Sensor) technology, motorized X and Y axis motion, a heavy duty granite base, and Scan-X software. It can scan surfaces with up to 0.125 µm Z height resolution and the computer controlled motors allow for no special fixturing to be required. The scan-X® analysis software controls the scanning process and presents the results graphically and numerically. Scanning an area will also show that the apex of a feature was scanned, an important capability not easily verified with a single linear scan. Lastly, the optional video camera makes setup even easier and provides live color imaging of the scanning process for visual verification of the scan location on the part.